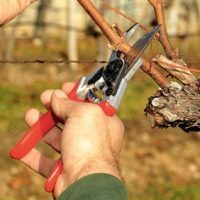 Felco manufacture a range of electronic secateurs suited to a multitude of professional activities including vineyard and orchard maintenance, horticulture, nurseries and arboriculture. 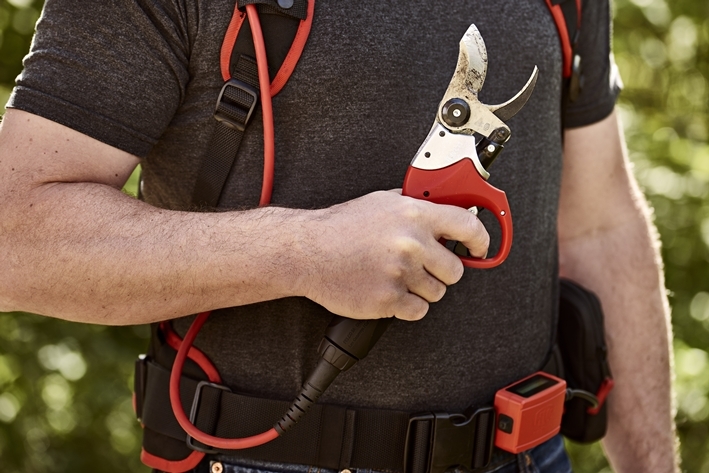 Felco produce three models of battery powered pruning tools with the latest model – the new FelcoTronic 811 electric secateur sitting in the range between the 801 (30mm max. cut) and the 820 (45mm max. cut). The new 811 is able to cut up to 35mm and is actually lighter, more powerful and quicker than 801 with a new soft touch handle coating – looks and feels a superb tool! * Semi-opening mode for faster cutting speed when using on smaller diameter wood. Opening between 50 and 70%. 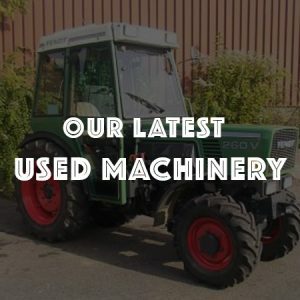 * As standard this comes with a 790g battery which under normal conditions lasts a full day, but additional batteries are available along with a new double capacity 1400kg battery. * A lightweight and compact electronic backpack made from breathable air mesh material containing the battery pack. It also contains the control housing which has a USB port, and then the remote housing for start/stop, selection of work options and a display showing battery status, number of cuts, usage time, percentage of large/medium/small cuts and any troubleshooting. Also with a detachable secateur holster.